Opening the festival this year, an exceptional concert by Nawal, one of the most stunning women's voices from Africa. From the Comoro Islands, Nawal is the first woman singer-songwriter and multi-instrumentalist from the islands to perform in public. 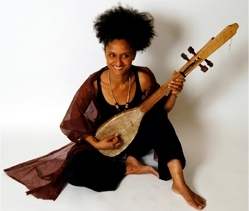 Between traditional and contemporary, her compositions are an acoustic roots-based fusion, a reflection of the diverse character of the Comoros and beyond. 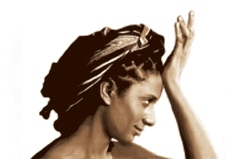 Indo-Arabian-Persian music meets Bantu polyphonies and rhythms mixed with Sufi trance. Nawal sings mostly in Comorian (Shikomor) a language in the Swahili family, also with French, English and Arabic. With her on- and off-stage partner, percussionist Melissa Cara Rigoli, she is currently preparing her second album. The festival concert will provide a sneak preview of their latest creations.